Why Warriors Lie Down and Die is essential reading for anyone interested in Indigenous peoples. It offers deep insights for those who want a greater understanding of the issues involved in achieving true reconciliation, and provides hope and new direction for those searching for the answers as to why “the problems” seems to persist in Aboriginal communities. In Arnhem Land, as in Indigenous communities across Australia, the situation is dire. Indigenous health in Australia is now so bad that 45% of Aboriginal men and 34% of women die before the age of 45. Aboriginal and Torres Strait Islander people are also massively over-represented in the criminal justice system. Western Australia incarcerates the Aboriginal peoples of its State at 9 times the rate of Apartheid South Africa. Why Warriors Lie Down and Die provides a fresh analysis of this crisis and offers examples of how Indigenous people can once again take control of their own lives. 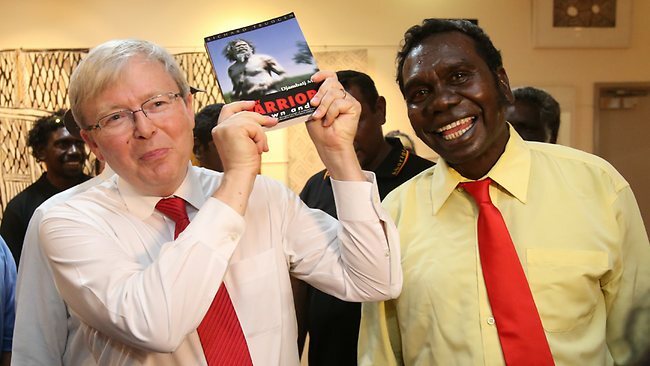 Finding the real causes requires the reader to look at it from the other side of the cultural / language divide – the side where the Yolngu people live. The book Why Warriors Lie Down and Die takes us to that side. 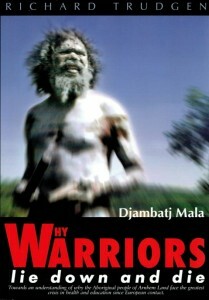 Told using a blend of critical and exploratory thinking, deep understanding of Yolngu culture, personal experience and powerful story-telling, Why Warriors is used by universities and schools across the country. This is a book for every Australian and is considered by many to be the essential handbook for people working in cross-cultural environments with Aboriginal peoples.